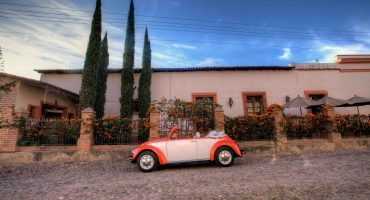 Each stopover on your Chasing Butterflies in Colonial Mexico tour will include lodgings in an authentic, charming and historic colonial-style hotel located in the very heart of the city and towns visited. Most of these hotels, which date from the 16th century, are built around shaded inner patios, where you can enjoy a leisurely breakfast, and some even have a swimming pool so you can take refreshing dip. Although our hotels may be historic, they are all up to the highest standards: rooms are comfortable, sophisticated and spacious and come with all the latest amenities, including fully-equipped en-suite bathrooms, Wi–Fi and cable TV. 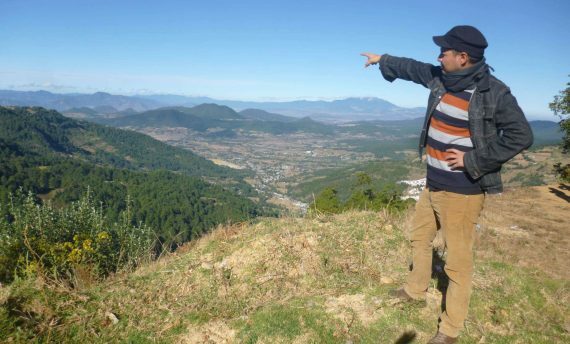 Please note that our Monarch Butterfly Tour includes two stops in remote mountain villages where some services may be unavailable. 7:30 AM to 9:00 AM: Continental breakfast at the hotel followed by the group’s daily briefing. A guided tour will follow. 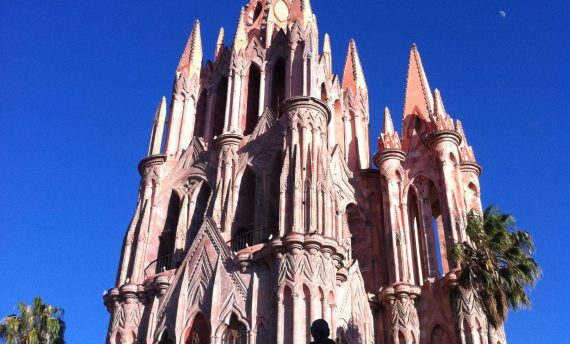 Those who prefer to be on their own can stroll San Miguel’s streets or visit its numerous art galleries and shops. 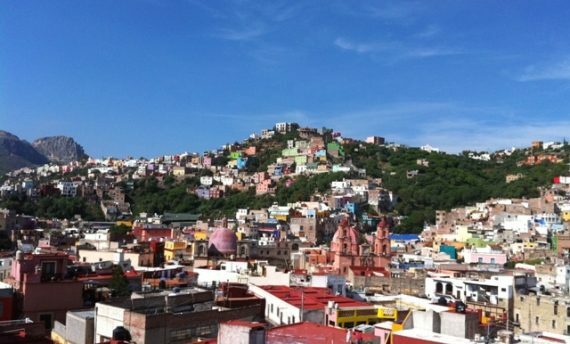 After lunch, we will meet at 2:00 PM in front of the hotel to begin the drive to Guanajuato. As usual, you may leave with the group or travel on your own. 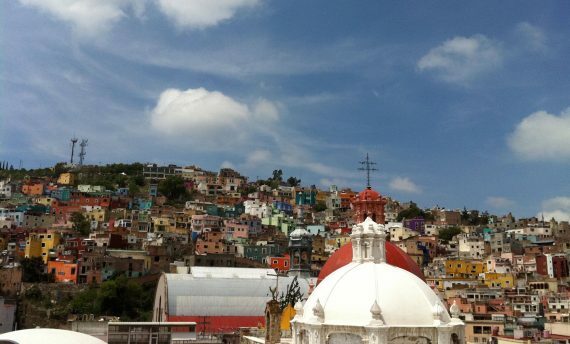 The mountainous (but not dangerous) road leading to Guanajuato will give you plenty of opportunities to stop along the way to enjoy the landscape or practice your photography skills. Arrival at our hotel in Guanajuato around 4:30 PM (we will be stopping along the way). Late afternoon guided tour of the town center where you will visit its churches, university and the remarkable Theatro Juarez. Dinner and drinks at one of Guanajuato’s numerous animated restaurants and live music for those who want to enjoy the nightlife. 7:30 AM to 9:00 AM: Breakfast at your hotel (or in town) followed by the daily briefing. Time off to wander on your own or with the group’s guide for a visit to the famous “mummies museum”. Departure at 1:30 PM for Patzcuaro. This time the drive will be a little longer but will include an amazing stretch of highway that takes you across a lake as if you were driving on water – and if you’re lucky you’ll get to see the regal pink swans. 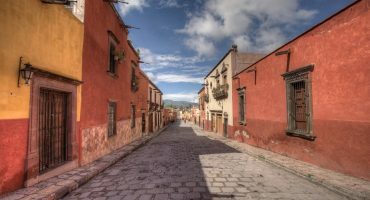 Once we’ve passed the city of Morelia, you will notice a slight temperature change as we make our way through pine forests before reaching the little mountain town of Patzcuaro perched on the edge of a lake. We will stay in a lodge in the town’s center, an ideal spot from which to explore this cheerful little village and its many busy markets and food stands. Patzcuaro is also a great place to buy local art and craftwork (rugs, blankets, jewelry). 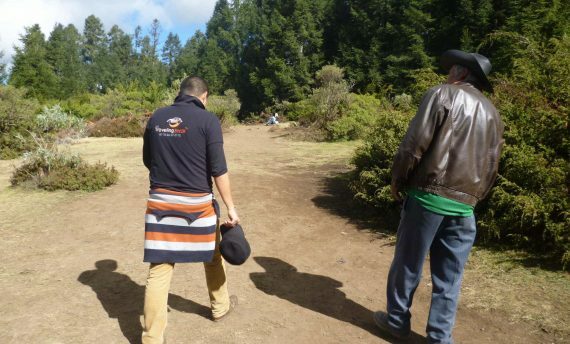 Our guide will show you around town if you want and we’ll take a short late-afternoon drive to see the nearby Tarascan ruins of Tzintzuntzan. In the evening you’ll dine in town. 8:00 AM – 10:00 AM: Breakfast in a little café on one of the town’s main squares where you will enjoy watching the locals as they go about their business. Morning meeting to discuss the day’s itinerary. You will then be given time to take a boat ride on the lake, further explore the town or go do a little shopping. Departure for Morelia at 2:00 PM. 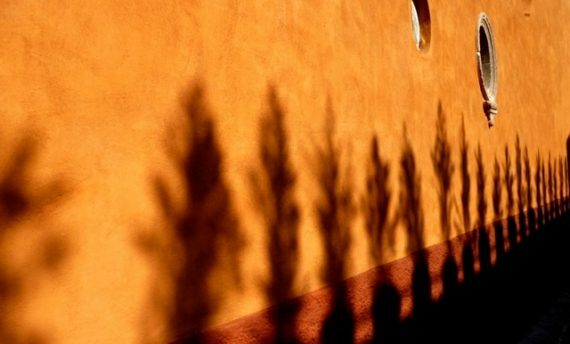 Arrival around 3:00 PM at our hotel in Morelia which is located in an old carriage house right in the city center. 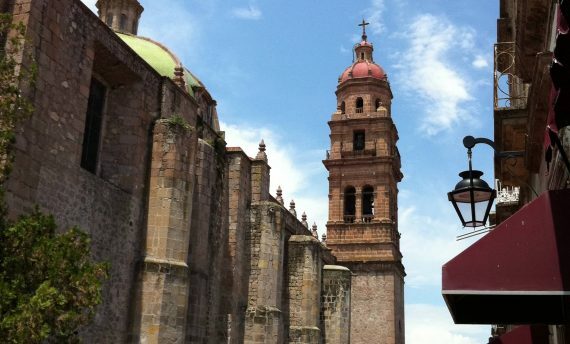 Guided tour where you will discover Morelia’s classic splendor, its majestic cathedral, many churches and XVI century stone archways. Drinks and dinner at the animated city square for those who want to sit back and watch the world go by. 8:00 AM to 10:00 AM: Breakfast in the delightful garden–courtyard of the hotel. 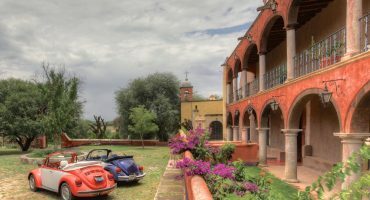 Short daily road trip briefing before you are given some time to explore some more of Morelia on your own or with our guide. At 1:30 PM we will meet back at the hotel before leaving for Zitacuaro. Arrival at the hotel in Zitacuaro around 4:30-5:00 PM where we will drop off our bags and settle into our new surroundings, a charming former mining town nestled in the mountains. Dinner and evening in town. 7:30 AM – 9:00 AM: Breakfast at our hotel or in town. 9:00 AM short daily briefing before we head off to the El Rosario butterfly sanctuary located a brief drive from town. 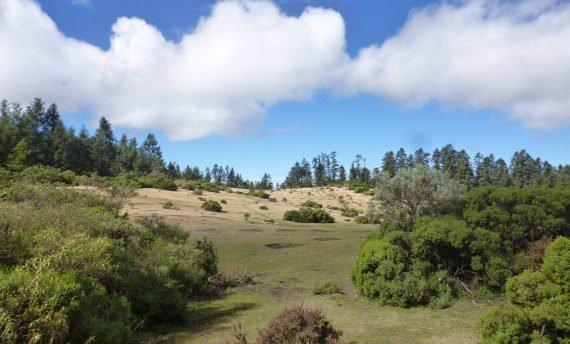 There we will meet up with a local guide and butterfly expert who will take us on a short hike to discover one of Mexico’s largest Monarch sanctuaries and get a closer look at the thousands of butterflies that populate the mountain pine trees: a truly spectacular site. 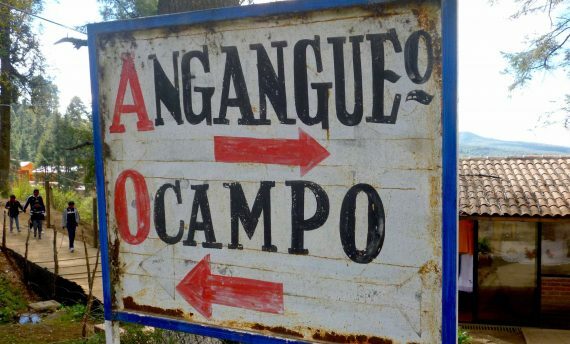 Once the visit is over we’ll return to Angangueo for lunch. Because all good things come to an end, at 2:00 PM we will begin our journey back to Queretaro. Arrival in Queretaro towards 5:00 PM. 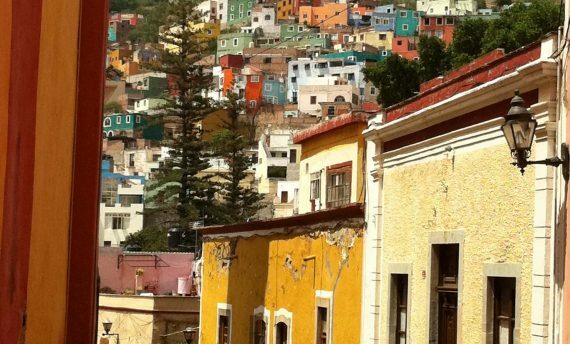 From there you will have the option of spending an extra night in Queretaro, heading directly to your next destination, or keeping your vehicle for a few extra days to continue your adventure. if you wish to travel alone in your Beetle please contact our team.